Fabric manufacturing involves texturizing processes at several stages, like, Fibre production, Spinning, Post spinning, Weaving, and Post weaving treatments. These entirely dissimilar processes, at different stages, are designed to achieve specific results. The processes are temporary as well as permanent are mechanical, heat setting, chemical and radiation treatments. Few processes are also used to relax the material and recover from texturizing effects. Some of the texturizing processes are very ancient, used since prehistoric times. Many of the texturizing processes are universal and are used with other materials such as leather, wood, paper, paints, hairdressing and foods. Texturizing of YARN creates products of many different characteristics from same basic raw materials. Texturizing processes make yarns increase elasticity, surface textures, cross section features, warmth and absorbency; while reducing the transparency, slipperiness, and the possibility of piling (formation of small fibre tangles on a fabric surface). The texturizing includes selective or spot stretching or shrinking, heat setting, chemical fixing, napping, sue-ding, singeing, spot fusing, spot burning, spot dissolving, flocking, embroidery, pile forming, etc. Texturized yarn is the formation of crimp, loops, coils, or crinkles in filaments. Such changes in the physical form of a fibre affect the behaviour and hand of fabrics made from them. Hand, or handle, is a general term for the characteristics perceived by the sense of touch when a fabric is held in the hand, such as drapability, softness, elasticity, coolness or warmth, stiffness, roughness, and resilience. For continuous yarns the fibre producer may provide primary texturing treatments, followed by a secondary treatment by an intermediate processor. The textile producer treats it further, before or after the weaving. 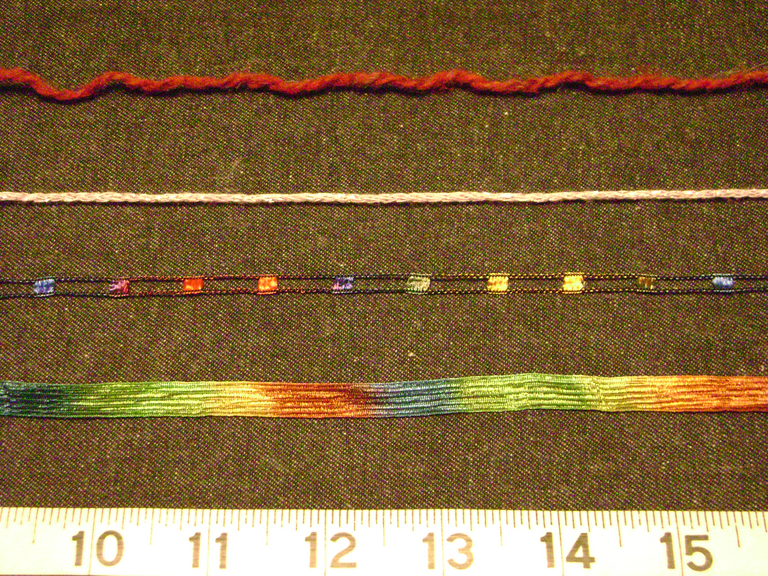 Textured yarns are synthetic filament yarns that are made bulky or stretchy by heating or other techniques. In yarns used for weaving, the warp, or lengthwise, yarns are usually made stronger, more tightly twisted, smoother, and more even, than the filling, or crosswise, weft yarns. For abraded yarns, the surfaces are roughened or cut at various intervals and given added twist, producing a hairy effect. These create air spaces in the yarns, imparting absorbency and improving ventilation. Crimping imparts waviness similar to the natural crimp of wool fibre. Curling, produces curls or loops at various intervals. Coiling adds sections that become stretchable. Such changes are set mainly set by heat application, but occasionally with chemicals. Bulk yarns are often produced by the false twist method, a continuous process in which the filament yarn is twisted and set, and then untwisted and heated again to either stabilize or destroy the twist. The stuffing box technique is often applied to materials like Nylon, where the filament is compressed in a heated tube, imparting a zigzag crimp. In the knit-de-knit process, a synthetic yarn is knitted, heat is applied to set the loops formed by knitting, and the yarn is then unravelled and lightly twisted, thus producing the desired texture in the completed fabric. 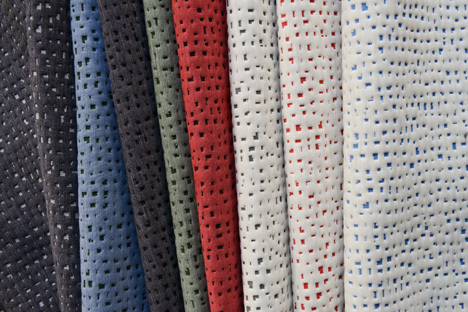 Texturizing of FABRICS endows the textile new physical properties, such as bulk, feel, absorbency, and patterns. Texturizing processes which were once designed for man-made fibres, are now also applied to natural and mix fibres. Singeing is a process to produce a smooth surface finish on fabrics made from staple fibres. The fabrics are rapidly passed over a heated copper plate or above a gas flame to burn ends of protruding fibres. Filament yarns do not require singeing, as there are no short fiber ends to project onto the surface of the fabric. A process similar to this but lighter in effect is Ironing, which removes creases from a fabric or garment. Napped and Sueded fabrics have fiber ends brushed-up onto the surface of the fabric. Napping and sueding are applied to woven or knitted goods. Term pile is often used to refer to the fiber ends that appear on the surface of the cloth. Sueding develops a very low pile on the surface of the fabric that looks and feels like a suede leather. An abrasive material like a sandpaper, is rubbed over a fabric surface to achieve the finish. 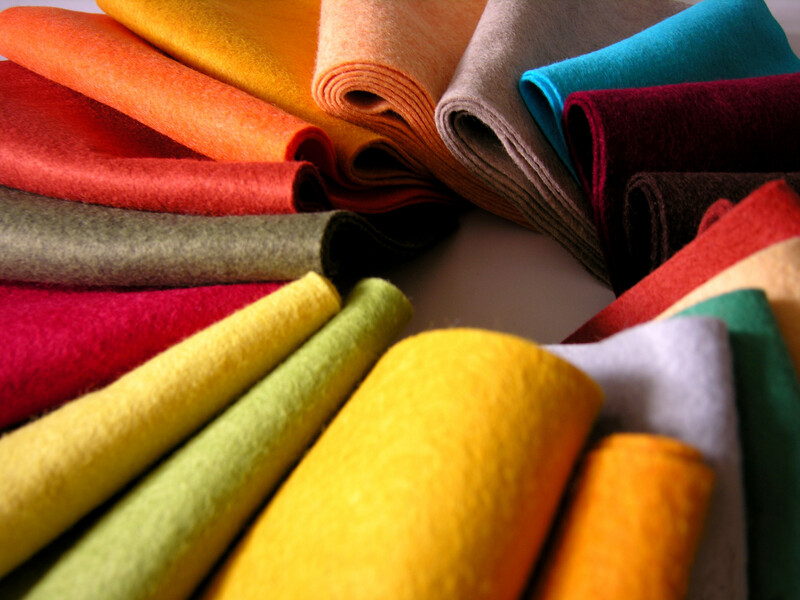 Napped fabrics are used for clothing and household textiles in which warmth is desired. Fabrics that have some component of thermoplastics or are resin treated are napped to emboss various types of textures. Embossed designs provide surface texture at a lower cost than do woven designs. Blankets, sleep wear, coating fabrics, sweaters etc. are from napped fabrics. Flocking has short fibres with glue printed on the fabric, wholly or selectively (to form patterns). 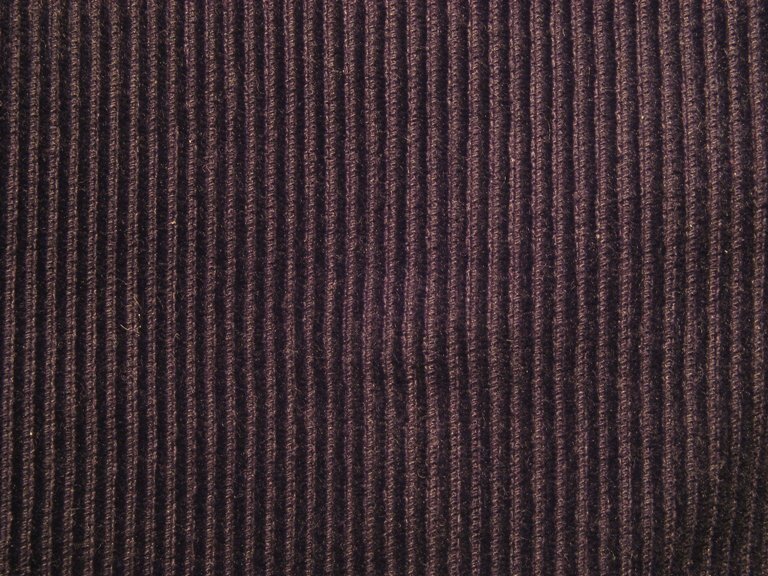 Beetling is a finish used on linen and fabrics that resemble linen. The fabric revolves slowly over a wooden drum and is pounded with wooden block hammers. The pounding flattens the fabric to make the weave appear more closely woven. The process increases the lustre, smoothness, and absorbency of the fabric.